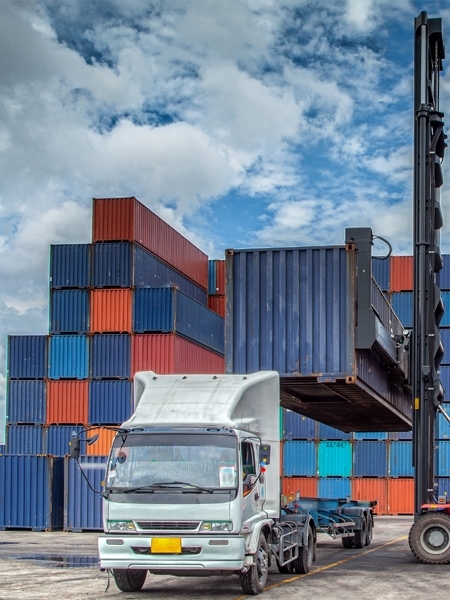 At Best West Logistics our team has over 40 years experience in the transport industry, we have experience as both owner/operators and middle management in medium and large wharf cartage companies. Over the years we have become known as a company that provides quality customer service as well as quick reliable deliveries. The reason why we have been successful is because we have a dedicated team which are always motivated in solving problems, going that extra mile and create easy solutions for our clients. This at Best West logistics we can ensure you that your job will is not only done, but done to the highest of our abilities. At Best West Logistics our key focus and main specialty is in sideloader and semi transport from the wharf. Glenn has been working within the transport industry for over 10 years. He believes that good management of transport services relies on good planning, excellent time management skills and responsive problem solving that works within the resources provided by both the business and the needs of the client. As an Owner/Operator Brian Tyler is a highly accredited business owner with a strong work ethic and a working knowledge of the needs of drivers and the requirements and demands required of a fleet operator. Best West Logistics have a dedicated team to look after your transport needs.